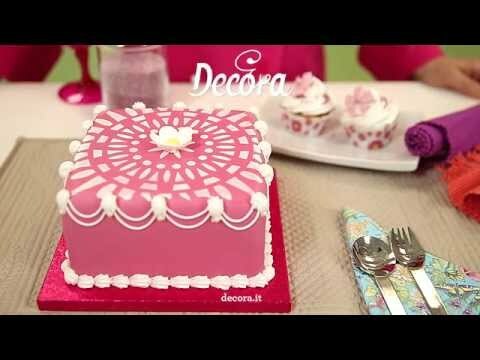 Video tutorials to learn new decorative methods of the most famous Teachers in the pâtisserie for funny and original ideas. A special interview by AliceTv in which was presented the 2019 Decora news. Baking desserts: a fun and therapeutic activity that joins adults and children, with beneficial effects not only on those who taste them, but also on those who bake them! Here is a cake already decorated thanks to our molds, filled and finished with fresh fruit. A dark chocolate hemisphere, filled with fresh cream, chestnut cream and cocoa…Who can resist?? The two-color mascarpone roll is really beautiful, isn’t it? Preparing it will be easy with Decora tools!! There is nothing better that wish a sweet Valentine’s Day in this way! Here are some heart-shaped decorated cookies to give with love for the sweetest day of the year. A Summer Delight that will conquer you with its flavour! A fresh, tasty drink, prepared with our Dark Chocolate Powder, Raw Cane Sugar and whole Fresh Milk. Few Ingredients for a secured Success! Here is the recipe for a delicious chocolate cake and figs. Dark our powdered chocolate with intense flavor, you can easily make delicious mousse and ganache. For a long-lasting decor, dust our decorative moisture resistant icing sugar: its particular consistency will ensure a more lasting effect. The perfect mix of strawberries and chocolate in a delicate milkshake. A delicious fresh drink, with Dark Chocolate Powder and milk, easy, tasty and suitable for any occasion. Tiramisu is a light and delicate spring dessert, easy to prepare, beautiful to see and delicious. Flavour the mascarpone cream with our Chocolate Powder for making a soft chocolate ganache. For an even more genuine taste, choose our Raw Cane Sugar: it’s perfect for sweetening all kinds of creams and dough. Scopri com’è semplice realizzare cioccolatini personalizzati in pochi e semplici passaggi. Una perfetta idea regalo per soddisfare gli occhi e il palato! Zeppole di San Giuseppe are a typical Italian stuffed dessert with custard cream. Here is a delicious variant of the recipe for Father’s Day! Mask your Carnival with color and sweetness! 3 ideas to bake and decorate your masks! Let’s prepare all together some simple flavored and colored sugar cubes. They can be prepared in so many different flavors and many shapes. Find out how to prepare homemade colored jelly! Wafer paper sheets flowers: super chic, delicate and elegant, an original idea for a wedding cake decoration. It’s easier than it sounds: discover how to make them! Simple, fast and original decorating tips! 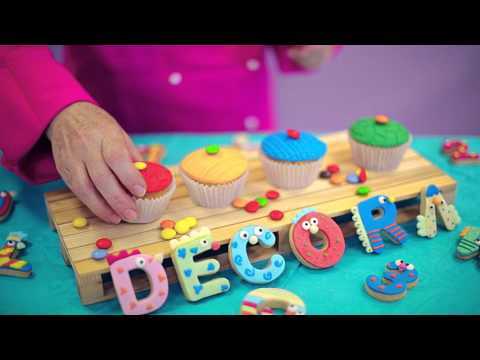 Find out how to decorate muffins and cupcakes, making realistic effects with our decorative sheets. Find out how to place perfectly symmetrical decorations, make perfect circles, garlands and festoons. A cake decorating technique, simple but stylish, to add a touch of originality to your sweet treats! 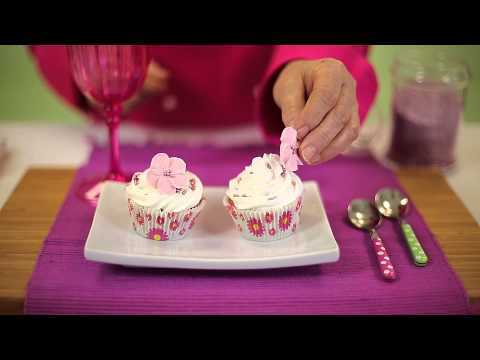 A funny tutorial to make a royalicing flower to add a creative touch for your cakes. Realize Royal Icing flowers is within everyone’s means: discover how to enrich your delicacies with an original touch! Easter is coming! Find out what Decora has thought for you! A funny way to make decorated chocolate eggs and customize the surprise inside! With the painting cake you can quickly realize some beautiful decorations. Painting on cakes has never been so easy. Our Instructor Tommaso Bottalico will show you the basic techniques of painting cake. Find out the original Decortwist works. With its 20 patterns, Decortwist is great to create decorations with the effect of hair, grass and many other long decorations with sugar paste and without stress! Realize this step by step to make an original farm and a lot of ideas to customize your cookie house. Follow the advice of our Instructor Maria, to make original decorations. The taste, the color and the passion for Macarons in a few easy steps. The Decora Instructor will show you how to prepare colourful tasty Macarons to give as a gift or as a sophisticated dessert for your dinner parties. Try to make it and share your creations. The pure natural beauty of this Gardenia at your fingertips with an easy tutorial. Our Instructor will guide you step by step in the realization of a fantastic gum paste flower. The wild attractive beauty of this Wild Rose to realize a fantastic sugar decoration for your cakes. Maria will guide you, step by step, in the Sugar Flower Art.